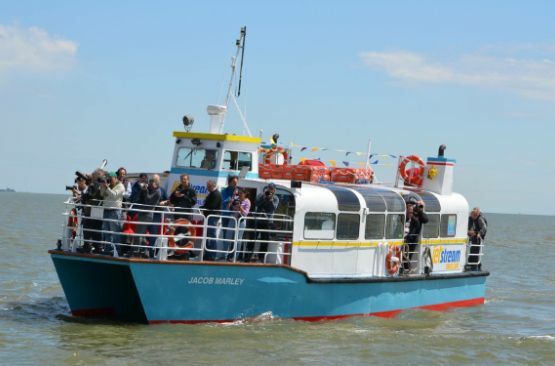 JACOB MARLEY is our Flagship vessel named after the Ghost of Ebenezer Scrooge from the Charles Dickens book, "A Christmas Carol"
Jacob Marley is a Class V and VI passenger vessel capable of carrying 98 persons on the River Medway and Thames. She is of a catamaran design which ensures that she is stable and has little movement when underway. This makes her ideal for all the family to enjoy being on the water without the worry of getting seasick. Onboard we have a bar selling a variety of refreshments, a toilet and large Panoramic windows, ideal for sightseeing whatever the weather. 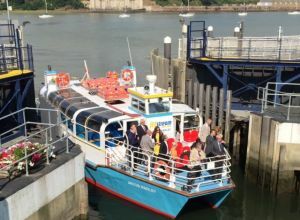 She can accept wheelchairs from Rochester pier, however, access to the outside decks and toilet facilities is currently limited. 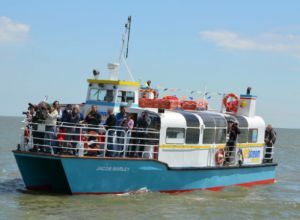 Our operational limits allow us to run all year round in the River Medway but during the summer we can extend our cruises into the Thames Estuary. 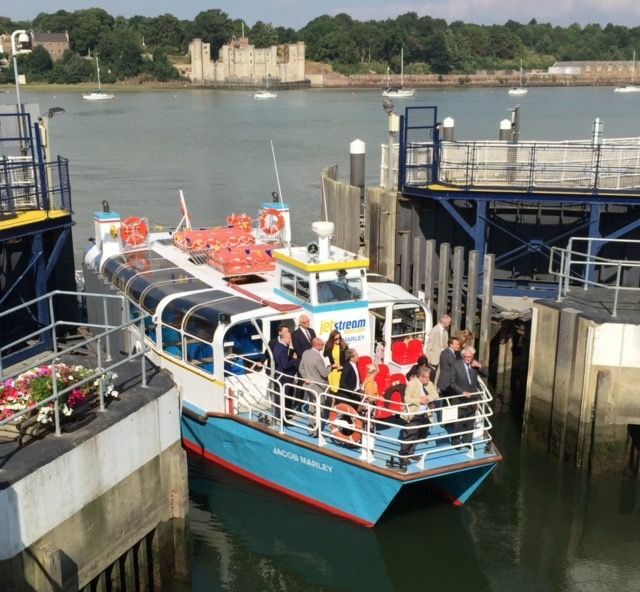 Experience the River Medway aboard our unique fleet of vessels. Whatever the weather, we have something for everyone.